So you know that I've been writing novels. In fact, it's an annoying habit of mine. I am SO excited to reveal the title and cover of my book today. 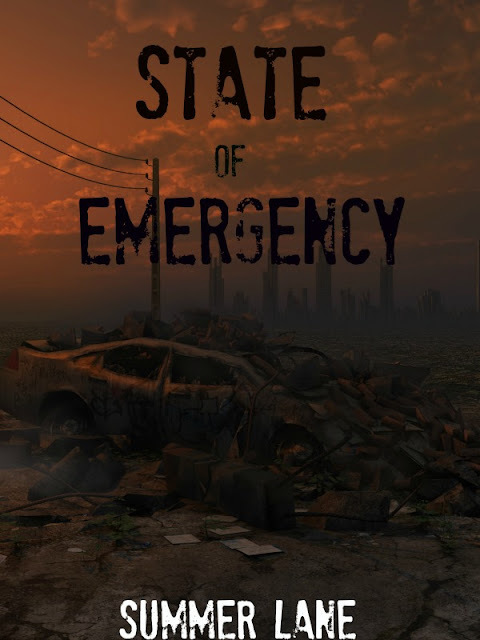 State of Emergency is going to have a release day blitz. I'd love to have you sign up and participate in the fun! Simply use the Google Form to join, and I will be emailing everybody about the release day! Hosts will be automatically entered in my Christmas Giveaway (where I'm giving away autographed goodies & giftcards!) The Christmas Giveaway is below the Google Doc. How exciting! And sounds like my kind of read. :-D Signed up to help, and Merry Christmas! Woohoo! :D I love the cover, Summer! I signed up to help, the blurb sounds amazing! :-) Also, wanted to say thank you for the giveaway, you have a lot of awesome stuff up for grabs! Thank you so much, Helena!! :) I'm excited about the release. Man, those sound like great books - I'm going to have to check them out! Awesomesauce! Thanks so much for signing up - I appreciate it!